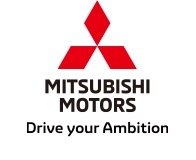 TOKYO, May 17, 2017 - (JCN Newswire) - Mitsubishi Motors Corporation (MMC) announced that it has begun offering its charging spot search smartphone app "EV Support" for Mitsubishi Motors EV Support(1) members in Japan, with expanded features and support for Android Auto(2), via Google Play(2). MMC is the first automaker to distribute a genuine Android Auto compatible app(3). Android Auto connects Android(2) smartphones to in-car display, which allows drivers to access smartphone functions such as to get directions, make and receive calls, access text messages, and listen to music, all in a way that allow them to stay focus on the road. By connecting an Android smartphone running the "EV Support" app to the Smartphone Link Display Audio(4) (SDA) in the MY2017 Outlander PHEV, users can search for charging spots or check their availability (In-use/Available) in real time on the SDA screen based on the latest information updated daily. Users can also share a charging spot on Google Maps(2) and set it as the route destination. (1) Support program packaging various services including charging service for owners of the MiEV series and Outlander PHEV. (2) Android, Android Auto, Google Play, and Google Maps are trademarks of registered trademarks of Google Inc.
(3) In-house research as of May 16, 2017. MMC will continue to integrate cars and information networks with advanced connected car technologies, and aims to provide a wide variety of services and bring a greater richness to your time in these cars.